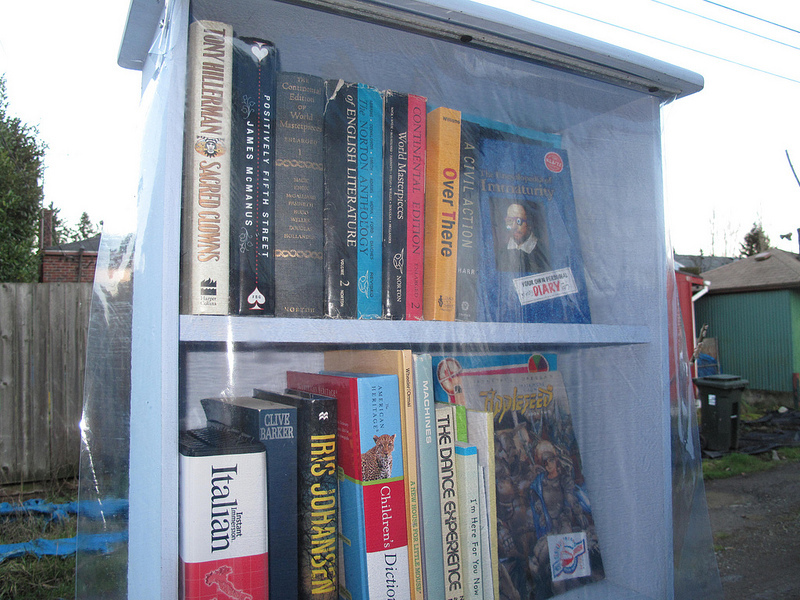 This Little Free Library is located in the 1400 block of Prospect Street in Tacoma and is part of the Little Free Library Project. This Little Free is unusual in that it is made of legos including lego figurines. There is a scene on the top and a small lego figurine living unit on the side. Inside their are books for children. 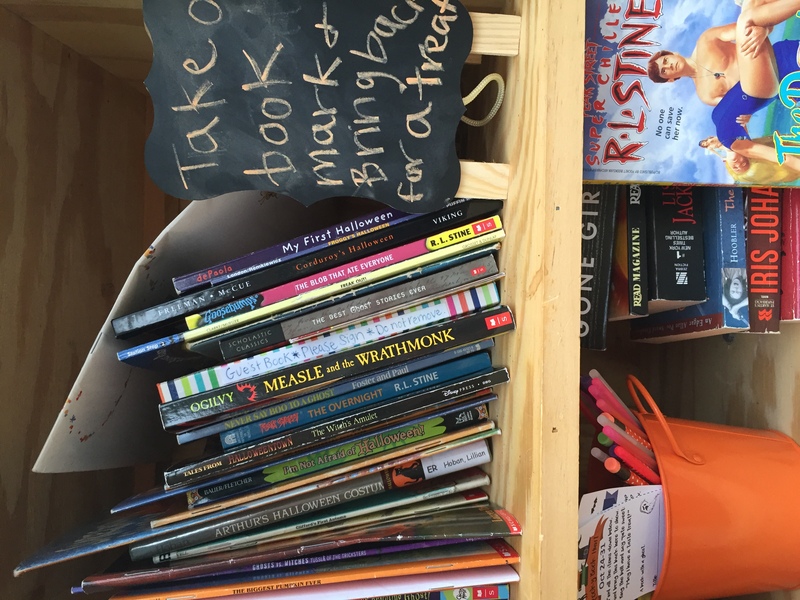 Little Free Libraries is part of a community movement which offers free books. When I considered my first Little Free Library in November 2012, a Wikipedia article informed me that there were over 200 of these libraries. Per their website, there are now over 25,000! Each of the libraries is registered and can be located by their GPS coordinates. In October 2015 the Little Free Library was honored by the Library of Congress for Creating Communities of Literacy. 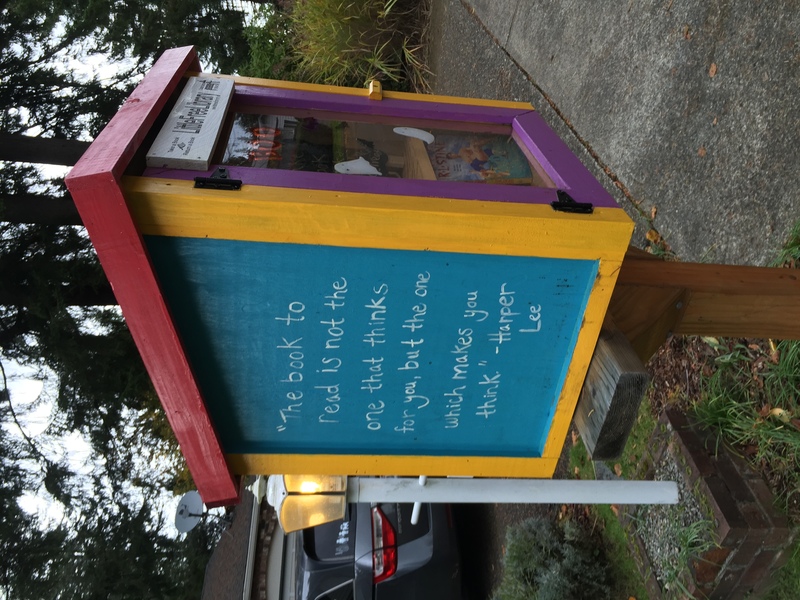 This entry was posted in Books (Libraries and Bookstores), Little Free Library, Tacoma, WA State - Pierce County and tagged books, legos, Little Free Libraries, Little Free Library, reading, Tacoma on January 18, 2016 by admin. 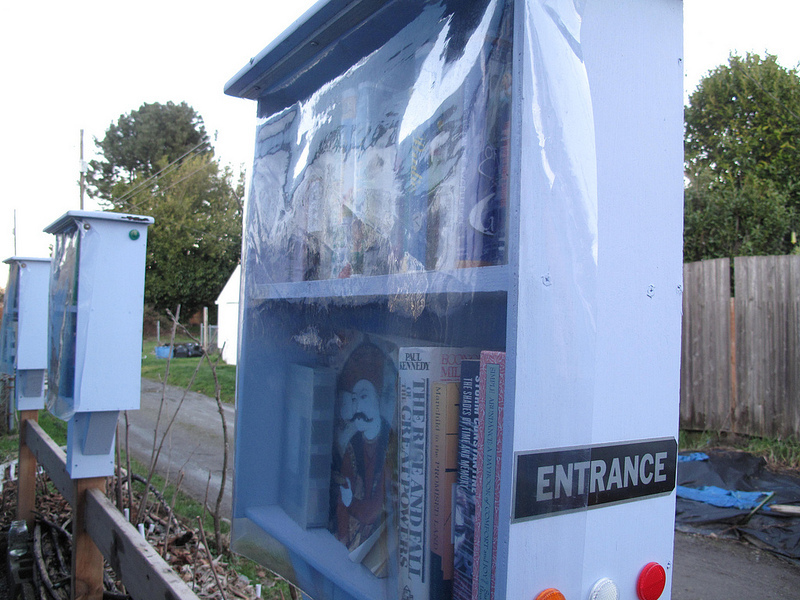 This Little Free Library is located at 4339 Tacoma Avenue South, Tacoma and is part of the Little Free Library Project. This Little Free Library has two parts, a children’s box and an adult box, one on each side of the gate to the house. It seems like I always have read at least one title, but not this time. Though I have read several of the authors: Janet Evanovich, Sue Grafton, Mary Dahem and even one Nora Roberts! There are even some little toys for the kids in the children’s box. Also of note is the whimsical found art that is atop of each of the fence posts. 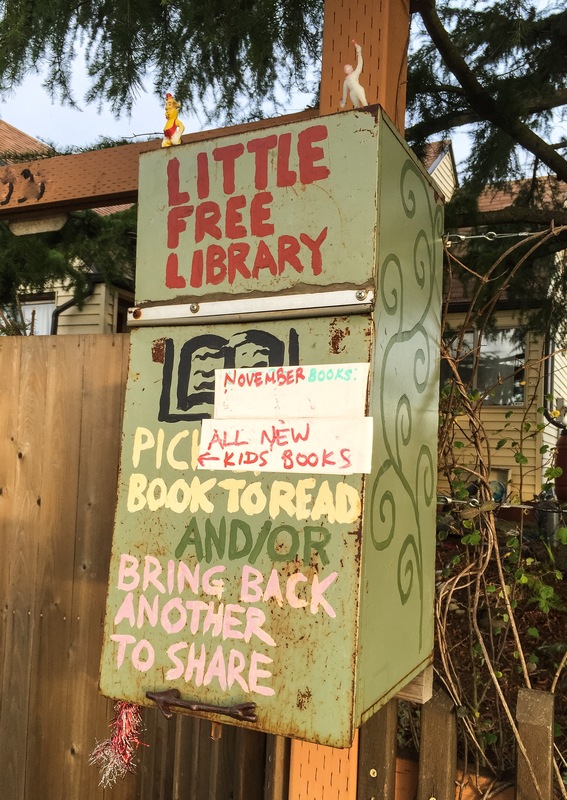 Little Free Libraries is part of a community movement which offers free books. When I considered my first Little Free Library in November 2012, a Wikipedia article informed me that there were over 200 of these libraries. Per their website, there are now over 25,000! Each of the libraries is registered and can be located by their GPS coordinates. 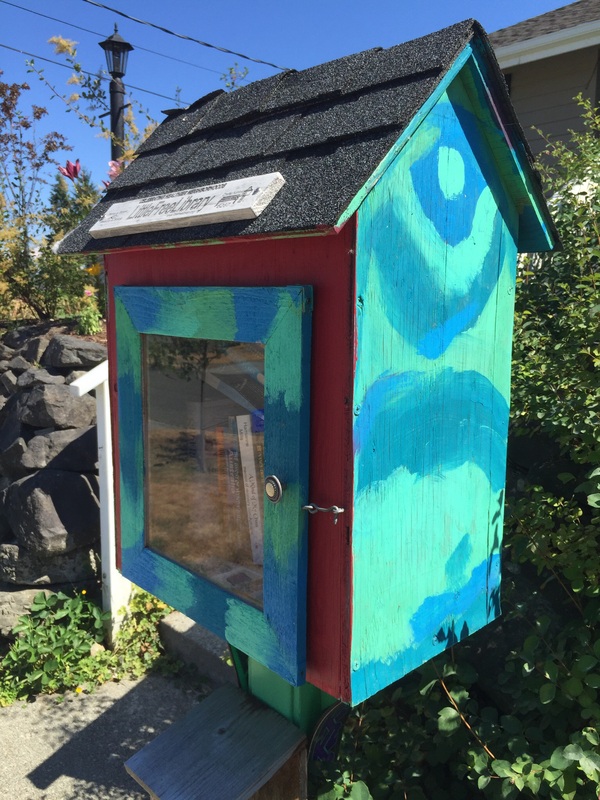 This entry was posted in Books (Libraries and Bookstores), Little Free Library, Tacoma, WA State - Pierce County and tagged books, Little Free Libraries, Little Free Library, reading, Tacoma, whimsyLibrary on December 19, 2015 by admin. 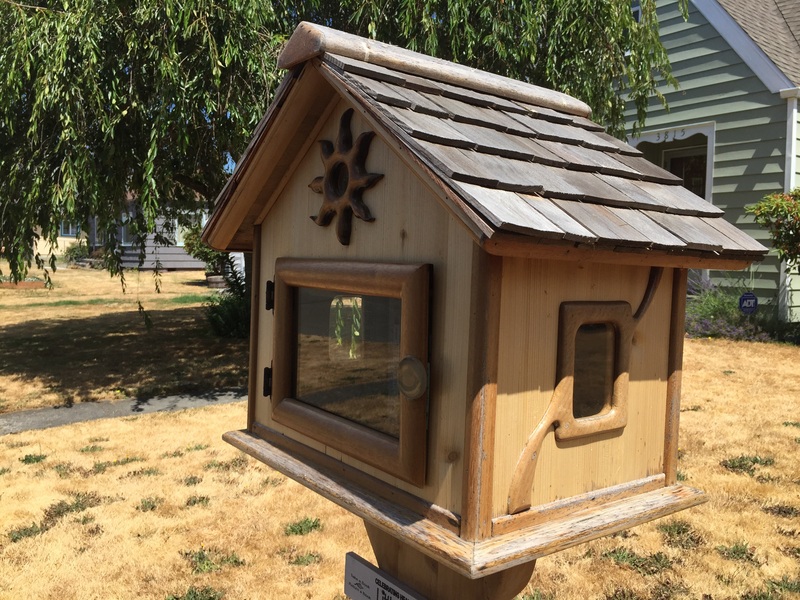 This Little Free Library is located at 3215 Centerwood Court SE, Olympia and is part of the Little Free Library Project. This high quality Little Free Library has bright, cheerful colors and inside there are over a dozen books, mostly children’s chapter books. It seems like I always have read at least one title and this time the title was Gone Girl. 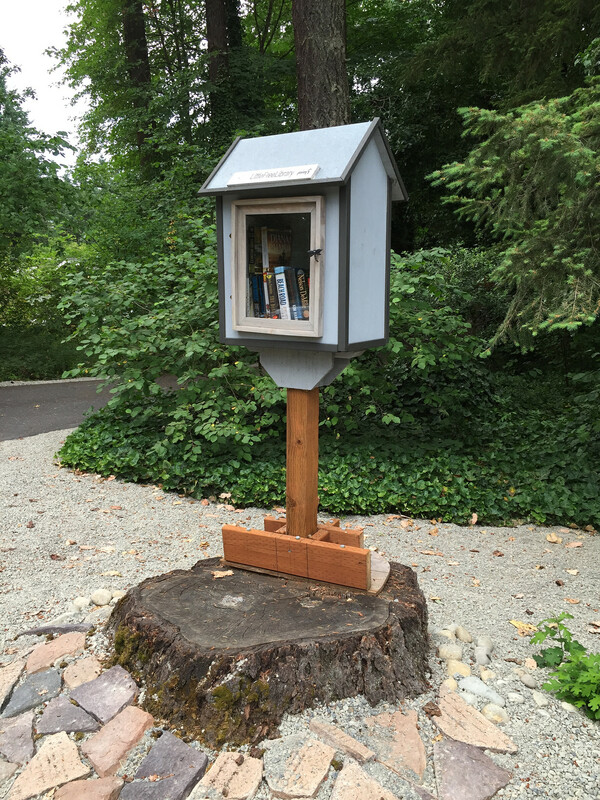 This entry was posted in Books (Libraries and Bookstores), Little Free Library, Olympia, WA State - Thurston County and tagged books, Little Free Library, Olympia, reading on November 21, 2015 by admin. This Little Free Library is located at 3815 South Ainsworth Avenue, south of South 38th Street and is part of the Little Free Library Project. This high quality Little Free Library has a lovely varnished wood with details including side windows and a sun. There is a little walk up area also. Inside there are over a dozen books, with an emphasis on good quality children’s chapter books. For the first time, I found a book I actually wanted, Tacoma-Pierce Co Walking Guide. 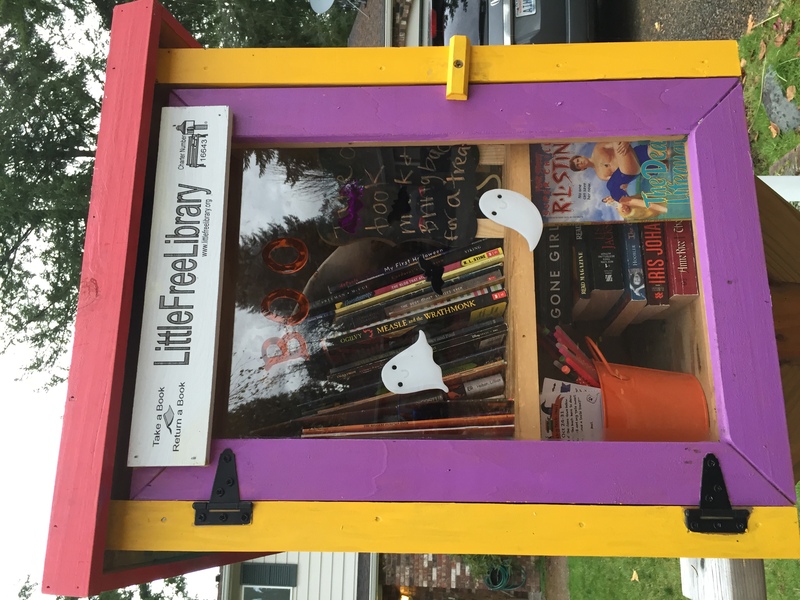 This entry was posted in Books (Libraries and Bookstores), Little Free Library, Tacoma, WA State - Pierce County and tagged books, free, libraries, library, Little, Little Free Libraries, Little Free Library, reading, Tacoma on July 16, 2015 by admin. 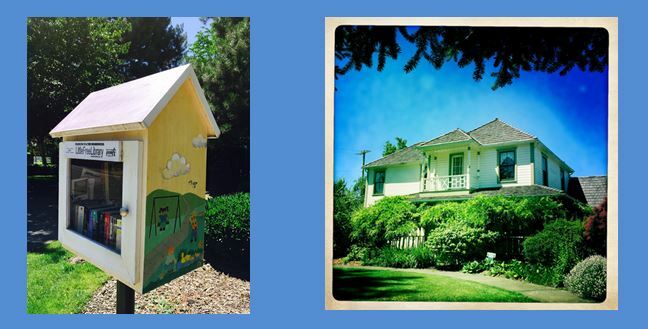 The Little Free Library #14444 is at 6720 Park Avenue, Tacoma, across the street from Park Avenue School. 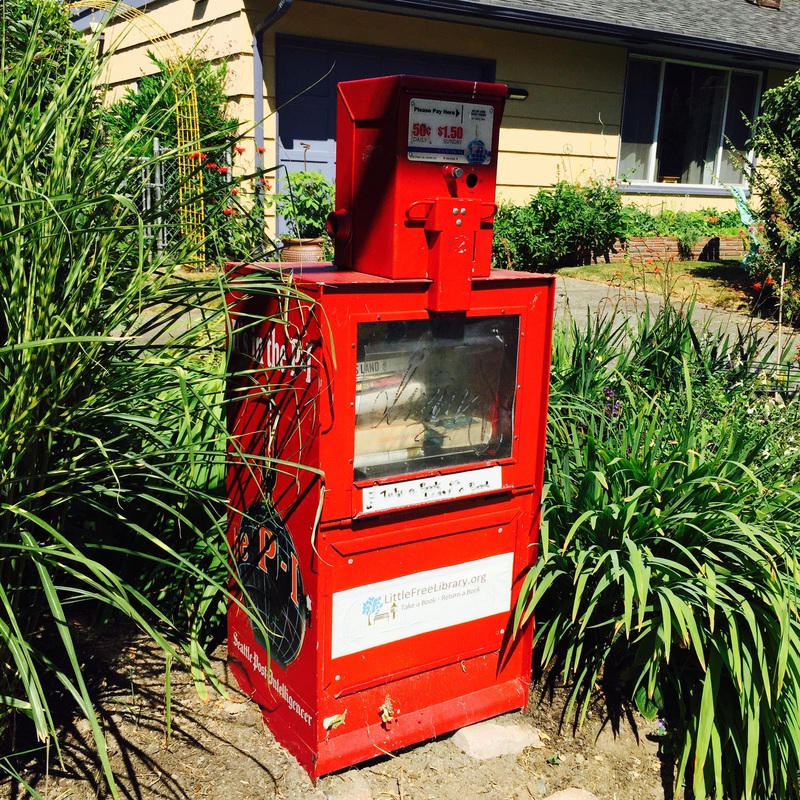 It is cleverly located in a cheerful red newspaper box, the Seattle Post Intelligencer. Inside there are about almost dozen books. The one that I have read for sure is Amy Tam’s Joy Luck Club, but I’m pretty certain that I’ve also read The Mermaid Chair by Sue Monk Kidd. What really stood out with this visit was the sidewalk next to the Little Free Library. There was a small stand with three new food products: Shredded Coconut, Panko Breadcrumbs and How & Sweet Pepper Jelly. I don’t know about the coconut, but the other two items were from Trader Joe’s. Those three ingredients can pretty much be used to make Coconut Chicken with Sweet Chili Dipping Sauce. Well, ok then. One does wonder why. They are obviously available for the taking and certainly quality ingredients. And I can see why the milk and chicken wasn’t included, it being hot and all. I guess it will remain a mystery and mysteries are good. This entry was posted in Books (Libraries and Bookstores), Little Free Library, Tacoma, Uncategorized, WA State - Pierce County and tagged books, Coconut Chicken, free, How & Sweet Pepper Jelly, libraries, library, Little, Little Free Library, Panko Breadcrumbs, recipe, Shredded Coconut, Tacoma, Trader Joe's on July 3, 2015 by admin. When I went to visit my last Little Free Library in November 2012, there were two in Tacoma, this one in the alley between South Anderson Street and South Oakes north of South 19th Street (#666) and the one pictured here http://blog.firsttries.com/little-free-library-tacoma/. 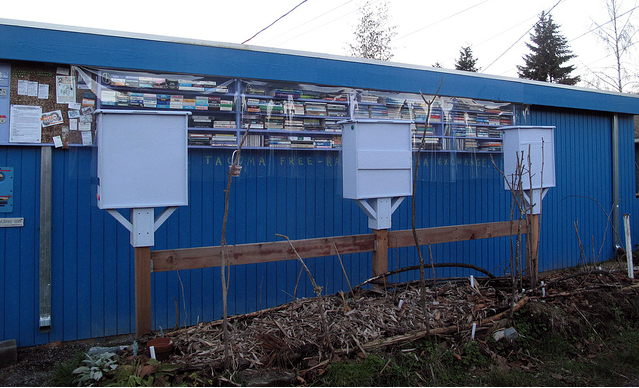 Now Tacoma has a total of four Little Libraries, so they are gaining popularity. Today’s Little Free Library is really more of a midsized free library with three freestanding shelving units and a several shelves towards the top of an outbuilding. Everything is covered with heavy plastic to protect the books from the Northwest rains. To build more than 2,510 libraries around the world – more than Andrew Carnegie–and then more. Details about the Library Project can be found here: http://www.littlefreelibrary.org/. This entry was posted in Books (Libraries and Bookstores), Community Space, Little Free Library, Tacoma, WA State - Pierce County and tagged alley, Central Tacoma FREE RADICAL Media Exchange, exchange, GPS, Little Free Libraries, Little Free Library, reading on January 25, 2013 by admin.